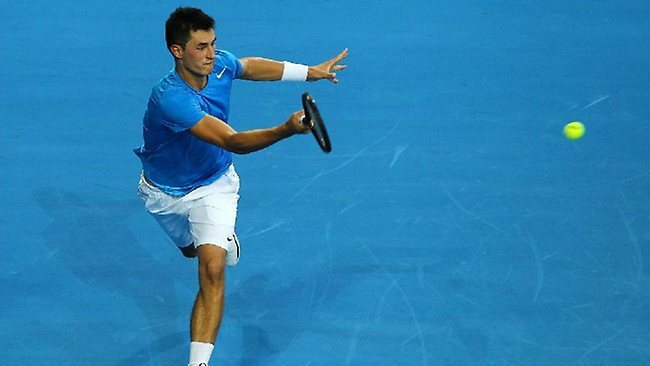 The word controversy has become synonymous with Australian tennis player Bernard Tomic, it seems. Tomic admitted he doesn’t ‘love’ tennis, was dropped from just-concluded Davis Cup fixture against Germany, participated in I am a celeb… get me out of here and was quick to quit the reality show. And now, the 25-year-old is back at it. According to Daily Mail, Tomic parted ways with his girlfriend Emma Blake-Hahnel without evening letting her know about his decision. Blake-Hahnel revealed that she only learned the news when she read a magazine article.